Thrumming with excitement for Fall Feast Day, Porcupine strolls through an autumn forest wonderland with a bucket of cranberries for her famous pie. Greeting friends and neighbors along the way while generously offering to share supplies, she loses her berries but gains a multitude of thanks and gratitude. 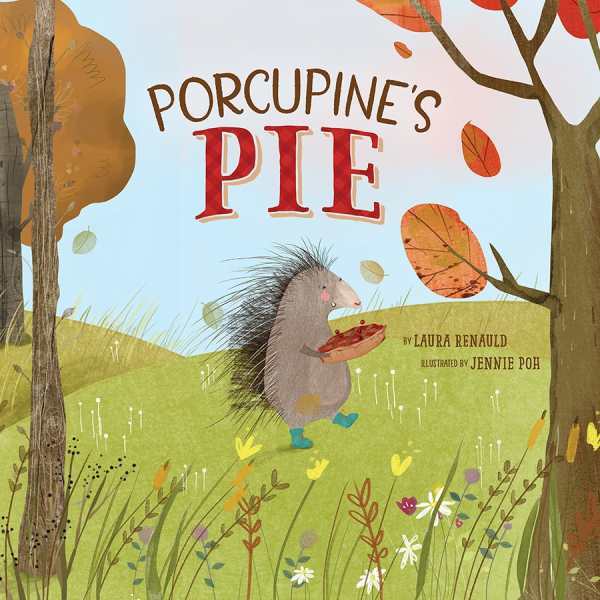 Using some of the same ingredients harvested by Porcupine, Squirrel, Bear, and Doe, make a Friendship Pie to share with loved ones by following the provided recipe.